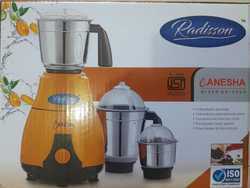 Offering you a complete choice of products which include radisson ganesha mixer grinder. The Radisson Ganesha Mixer Grinder is powerful and efficient. It promises to deliver fast results with minimal effort and mess in the kitchen.